Amaka Gift is a gospel singer, Public Speaker and a ceremonial presenter. She has till date held speaking sessions in selected schools, as she continues to draw plans of visiting many more where she hopes to take the gospel to the light bearers of future generations. She is a devoted Christian and a prospective Nurse. 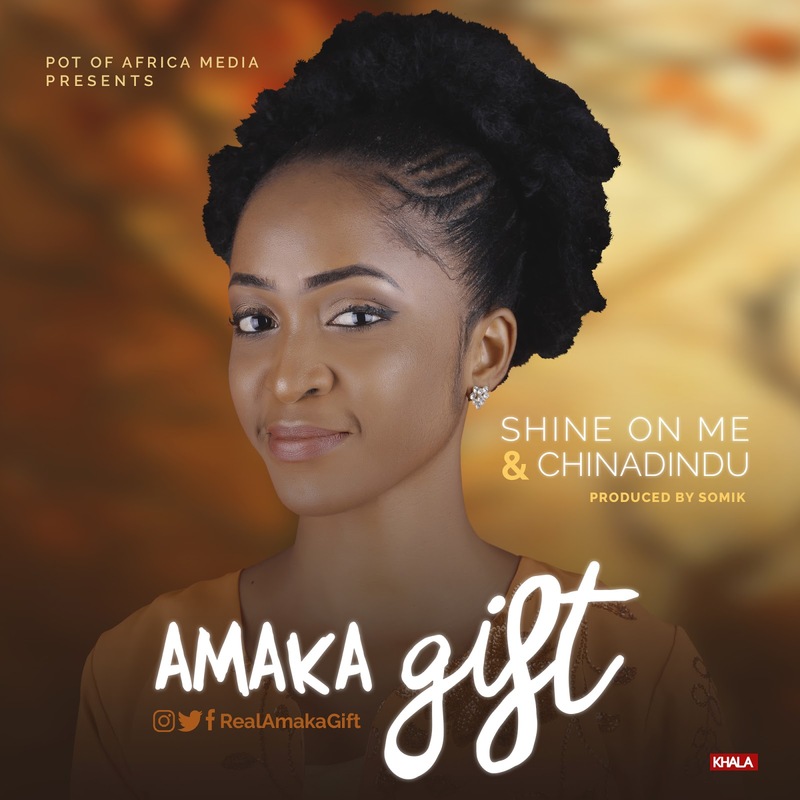 From the stable of Pot Of Africa Media comes this soul lifting gospel song by Amaka Gift titled “SHINE ON ME” a song produced by Somik. written and composed by Amaka Gift to the glory of God. "Chinadindu" is another hot one from Amaka Gift, a studio leak motivating song, for those going through hard time, sang in Igbo language. Download, Listen and be blessed.